Asa and Jon remain in Alaska, to manage the famous inn as it opens doors to a new type of guest. Visiting werewolves go on their first exploration of the property, looking for big game—hormones run high and shots ring out across the tundra. Soon, the hunters become the hunted and the peaceful getaway resembles a battleground. Will it ever be the same again reading the normal vampire stories I usually read, I dont really think so! I loved all three books in this series but I think this one was my favorite. I loved that this book didn't leave me hanging, it was all resolved and I love that in a third book! The characters again didn't disappoint and I still love them all! 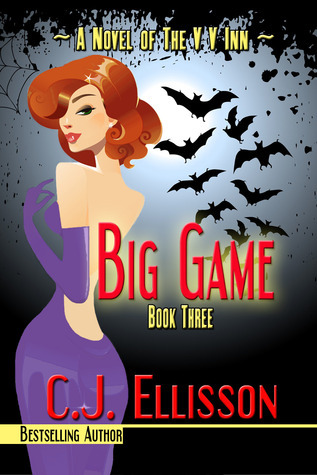 Big Game is filled with action, twists, turns, and fantasy characters that I couldn't get enough of. I would recommend this whole series to any of my friends. I stayed up all night to finish this one and when a book keeps my attention that much its amazing!